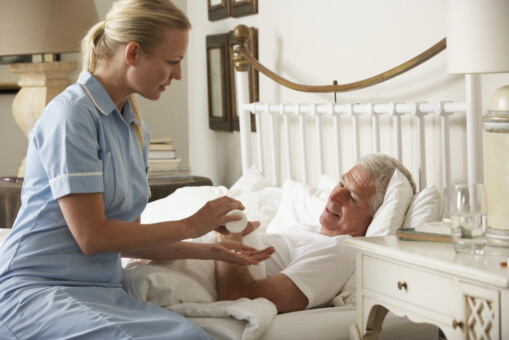 As the leading provider of Home Health Care in Vancouver, BC, let us share with you this information on common medical issues that our elderly loved ones might face. Remember that awareness can really go a great length when it comes to prevention. There are certain medicines that will cause side effects such as affecting their sense of balance and proper thinking. Always encourage your Granny to let you know if they feel anything unusual after taking their prescriptions. You can also do some observation so that you can check if your aging loved one is showing signs of imbalance or other side effects. In some instances, the medications they’re taking may not be as strong as you expect them to be so that the symptoms won’t continue to persist. When this occurs, your senior loved one will also continue to suffer from the pain or discomfort brought by the symptom. When their symptoms persist, don’t hesitate to reach out to their doctor. Our senior loved ones may face the challenge of remembering to take their medications, especially if they fall on the wee hours of the night. When you perceive this as a possible issue on your loved one’s health, inquire from the doctor of any possible options to take the medicine on another schedule. If not, you may also tap the help of providers of Senior Home Care in Vancouver who will be there to ensure that they’re taking their medications as scheduled. Medicines, especially the newly prescribed ones, can also interact negatively with the existing medications. The common effects include dizziness or gastrointestinal problems. Before this can happen, always ask their doctor if the new prescription will not have any possible negative reaction to your loved one’s health. Some of our senior loved ones may become wary of the cost of medicines. When they see these as a way out of their regular budget, they may be discouraged to take these, especially if the medicines are already for long-term use. You can ask for any medication assistance from your local health office to provide special discounts for the seniors. There are also pharmacies that offer special discounted rates for senior clients. These medication issues can be immediately addressed as soon as you perceive them. Our team at Peachtacular Home Health Care can also assist you in taking charge of your Granny’s overall well-being at home as we also extend Home Care Services in Vancouver. If you’re interested to know more about our services, keep in touch with us! This entry was posted in Home Health Care and tagged Home Care Services, Medication Issues, Senior Home Care. Bookmark the permalink.